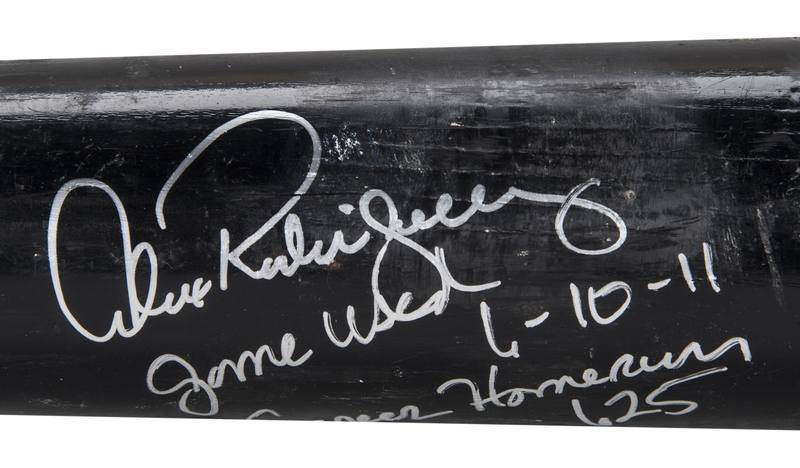 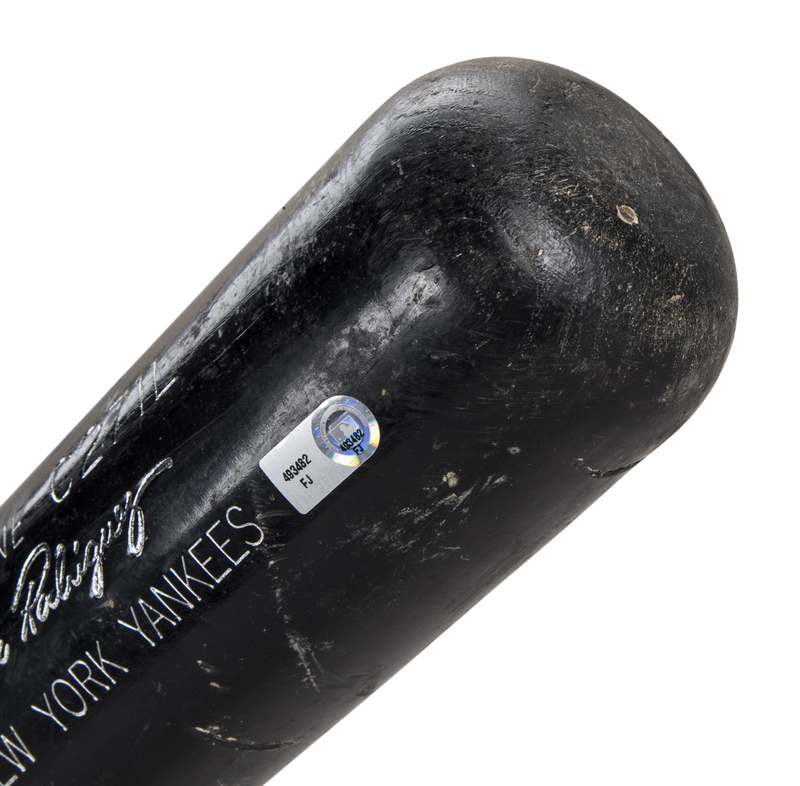 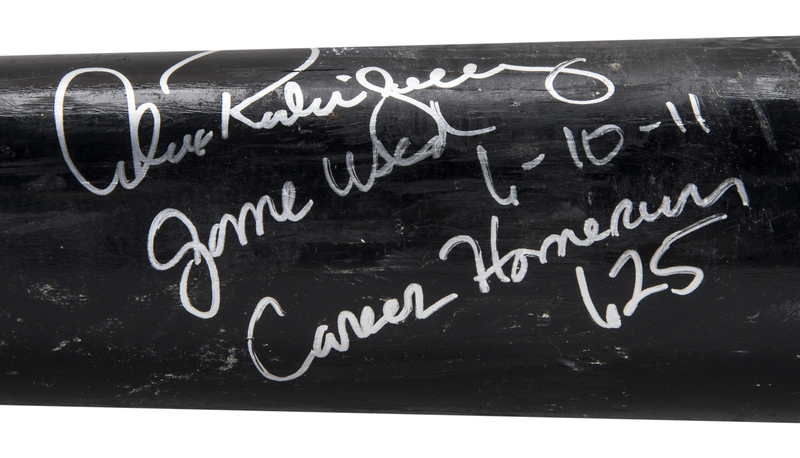 A-Rod used this bat to hit his 625th career home run. 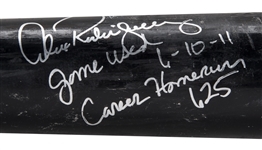 The blast came in the 4th inning of the June 10, 2011 game against Cleveland at Yankee Stadium. 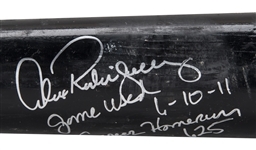 Rodriguez knocked a Roberto Hernandez fastball to straight away center field, scoring one of the Yankees eventual 11 runs in the game. 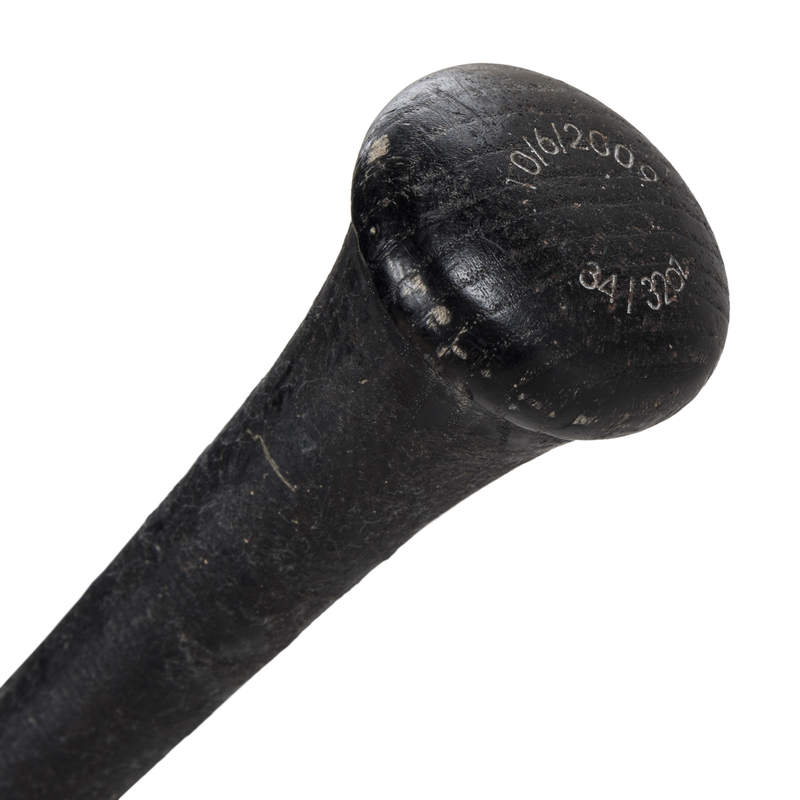 The Louisville Slugger C271L model bat shows good game use and has been signed and inscribed by the Yankees star. 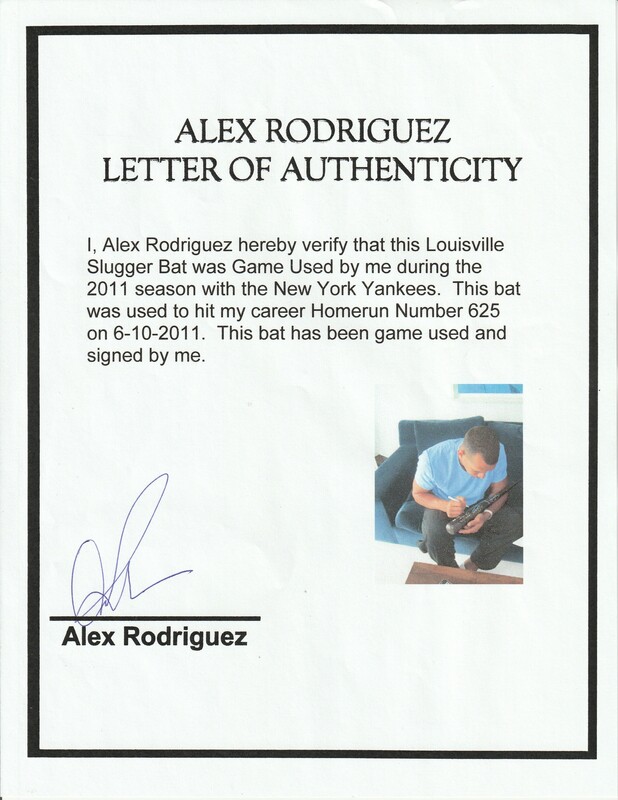 The bat comes with an MLB hologram (FJ493482) for the game use and a signed LOA from Alex Rodriguez for the signature.